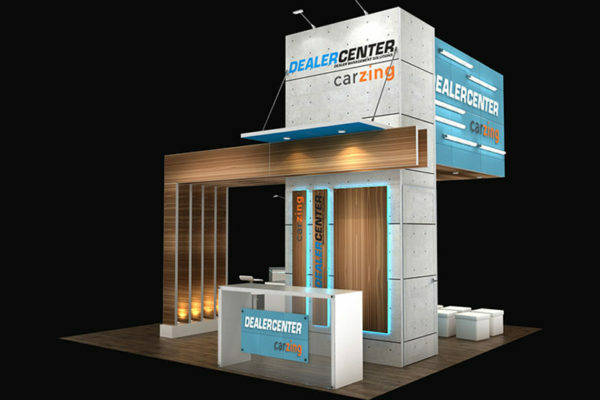 Ahhh, 20 x 20 booths—where the possibilities are seemingly endless. 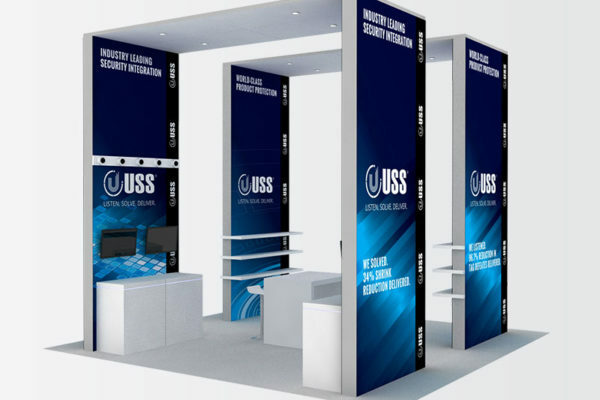 Hanging signs and towers add to making your brand and display feel larger than life, and can attract traffic from across the floor due to the high level of visibility. 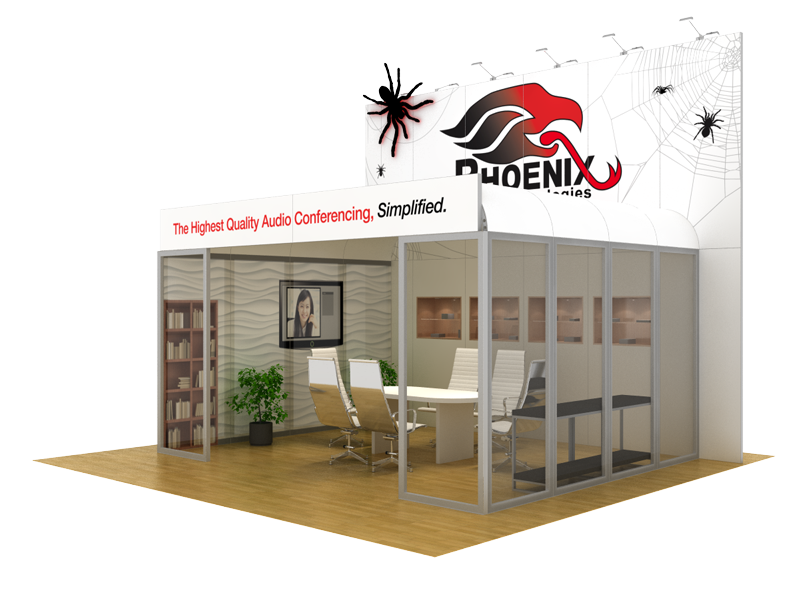 Meeting rooms—both private and semi-private—are a large reason to upgrade to a 20 x 20 trade show booth. 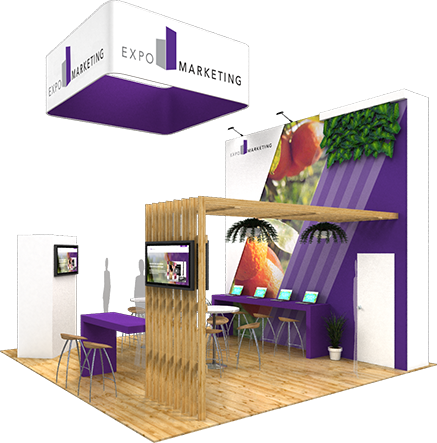 It’s with these 20 x 20 booths that double decks are a common solution—effectively multiplying the amount of space in your booth. 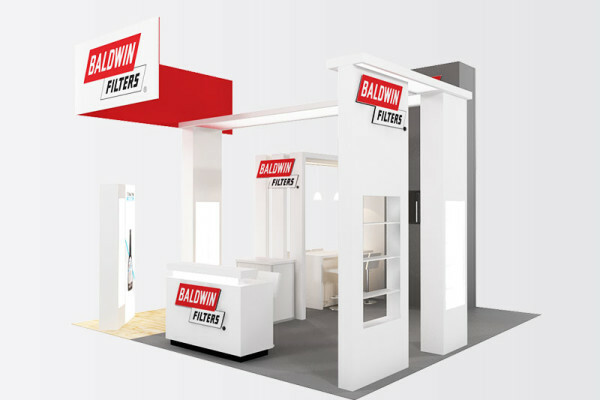 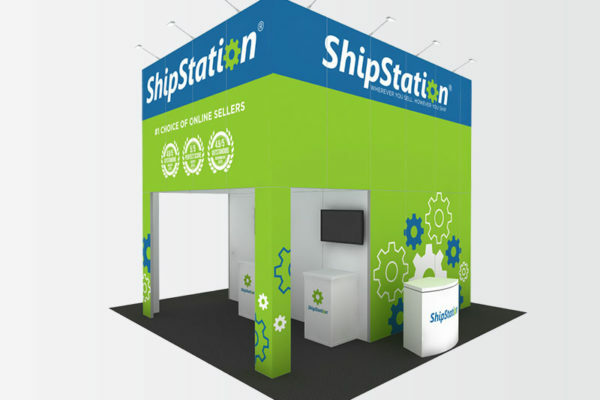 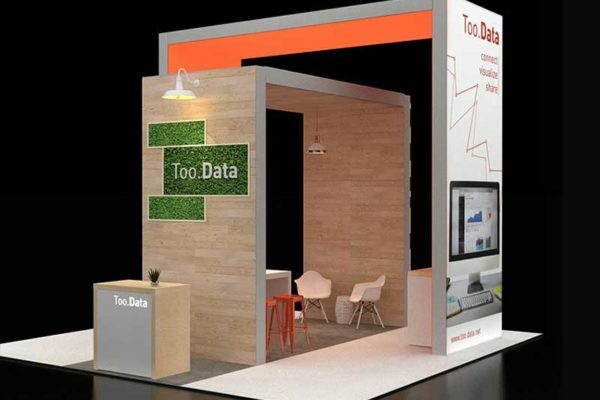 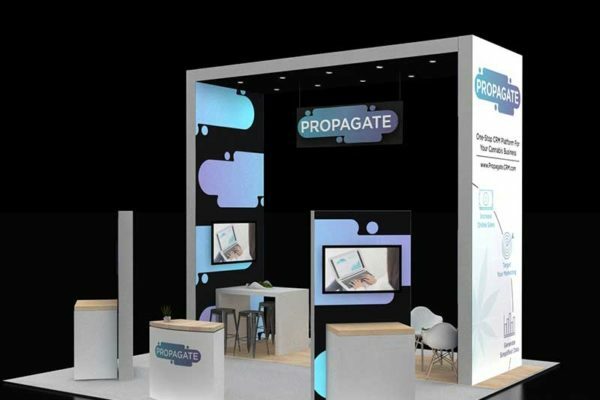 This increased visibility will differentiate your booth from the competition, and strong execution of your space planning will keep the attendees’ attention. 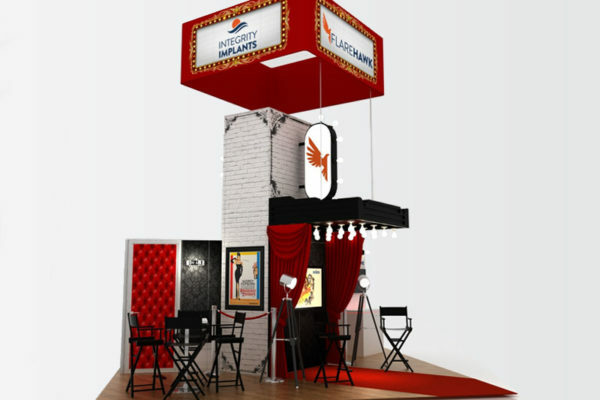 Consider using the second floor of your booth for a private meeting room or VIP experience. 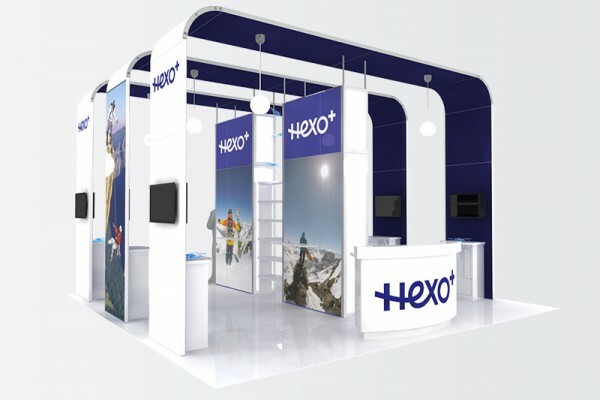 Structurally, fabric can be used for a seamless aesthetic with backlit features to contribute to the overall smooth look and feel. 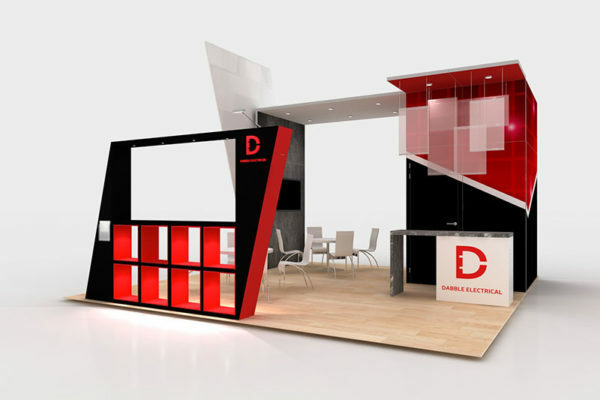 Paneling comes in a variety of materials and colors that can be customized to fit your brand and vision. 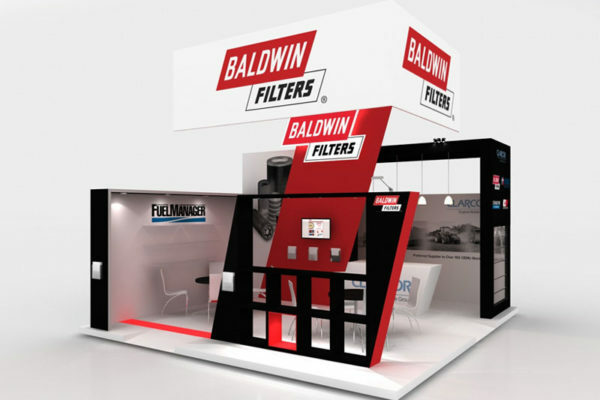 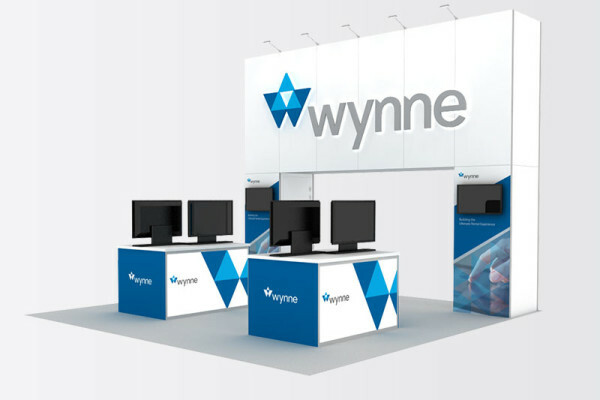 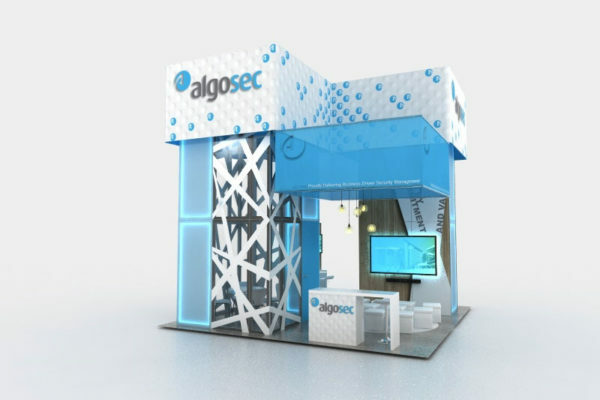 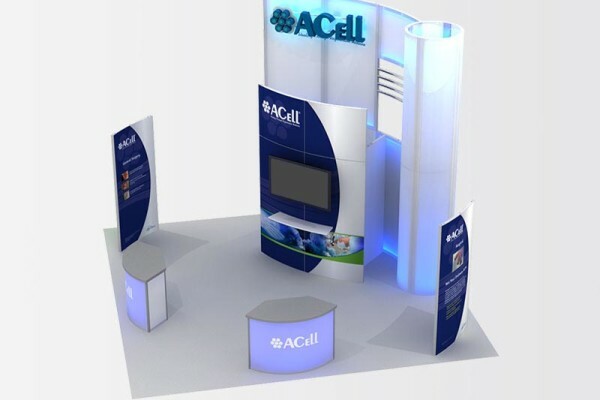 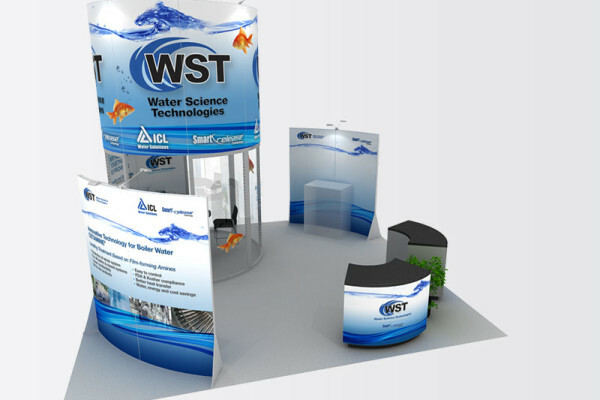 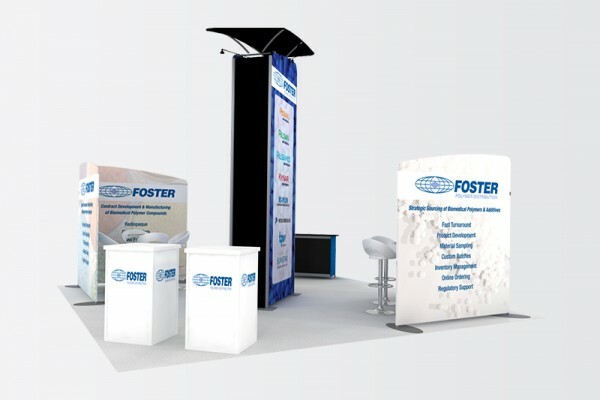 With 20 x 20 trade show booths, you can have large graphics, product demos and creative product displays all unique to your message and target. 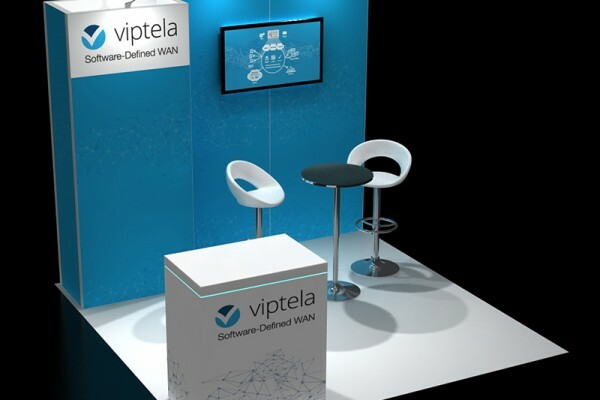 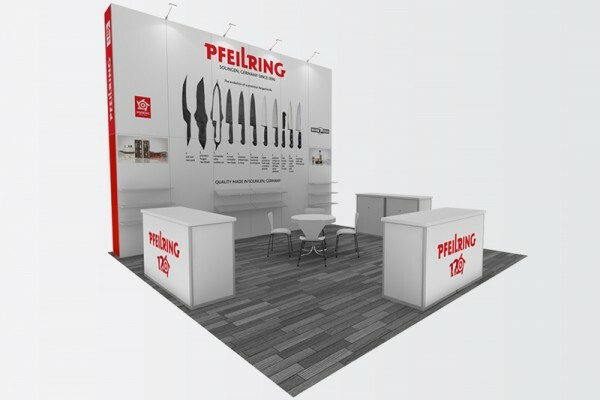 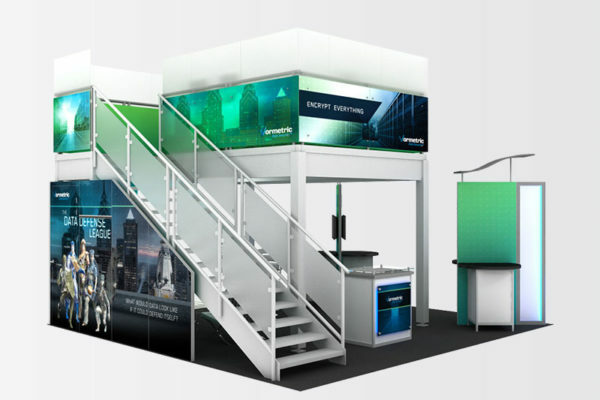 The key with graphics is to have make an impact with functional pieces that convey your message quickly and succinctly, and allow your booth and team to tell the rest of the story. 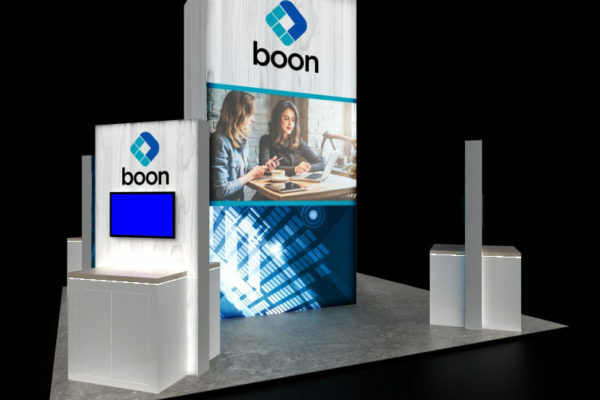 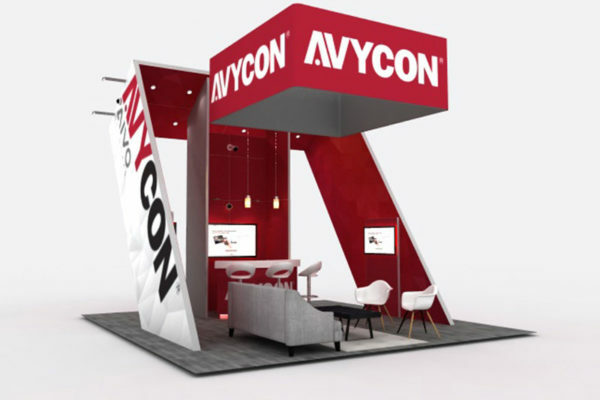 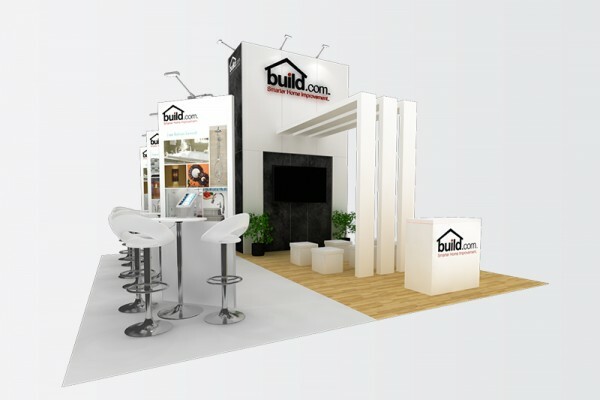 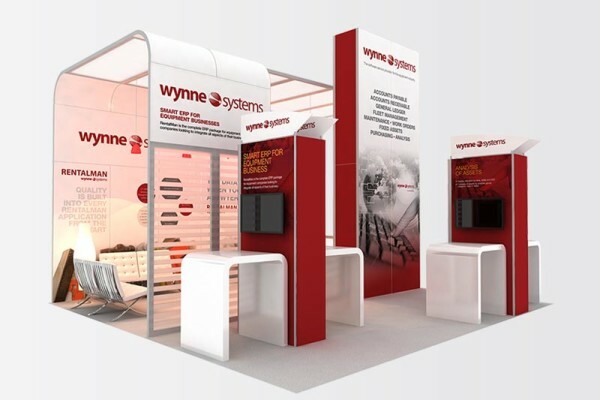 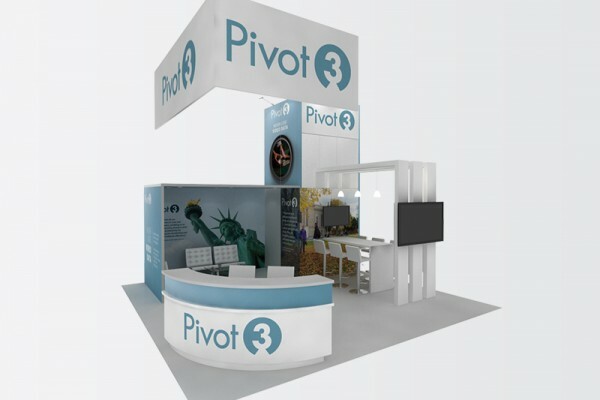 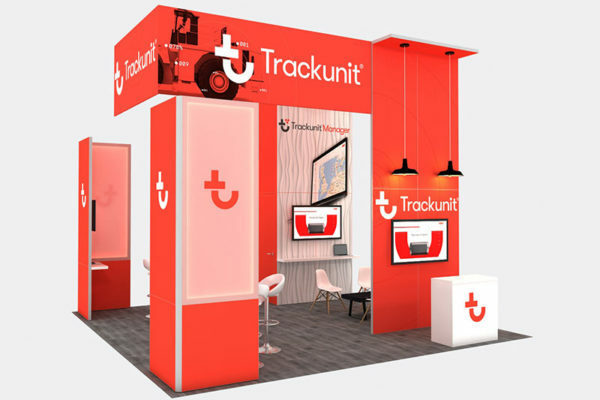 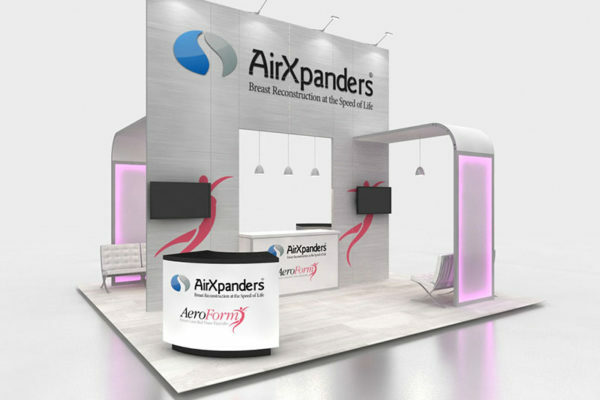 Our team works with you to ensure that the structure and design of your 20 x 20 trade show booth reflects your vision and transforms it into an exhibit experience. 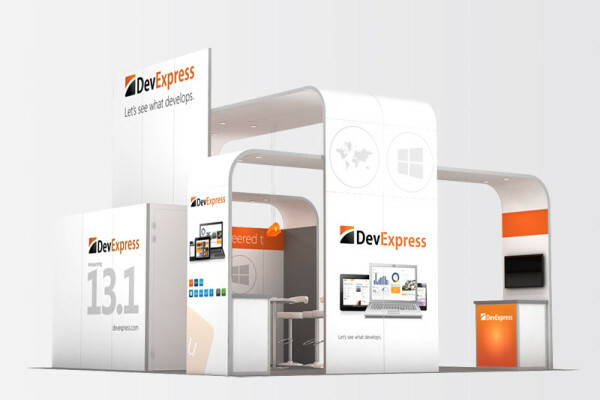 We specialize in making your brand and products come to life in a way that will maximize traffic. 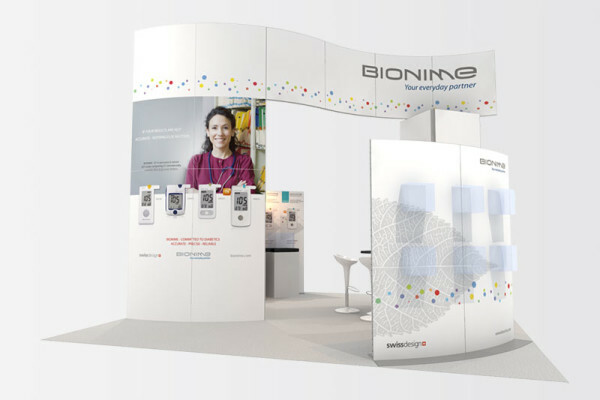 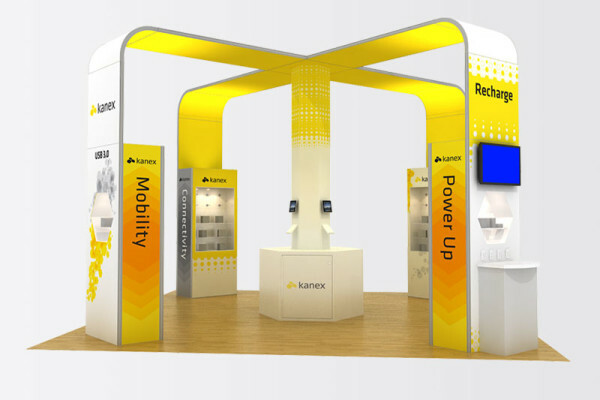 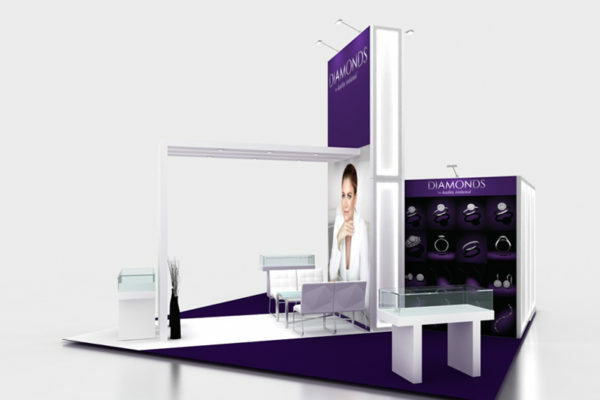 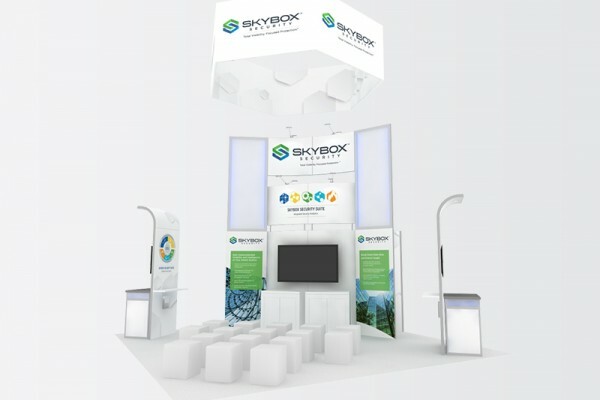 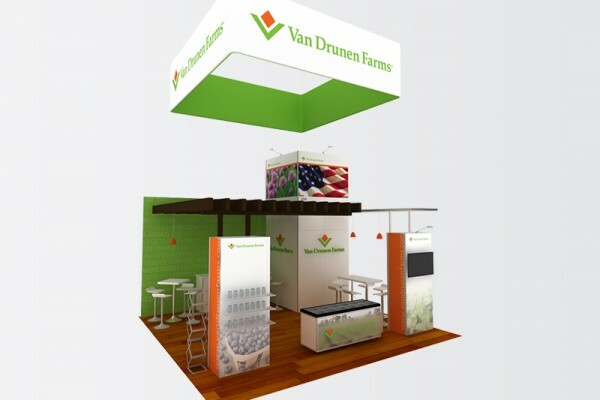 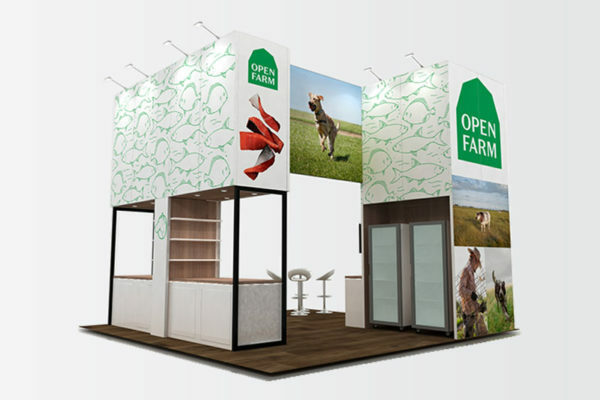 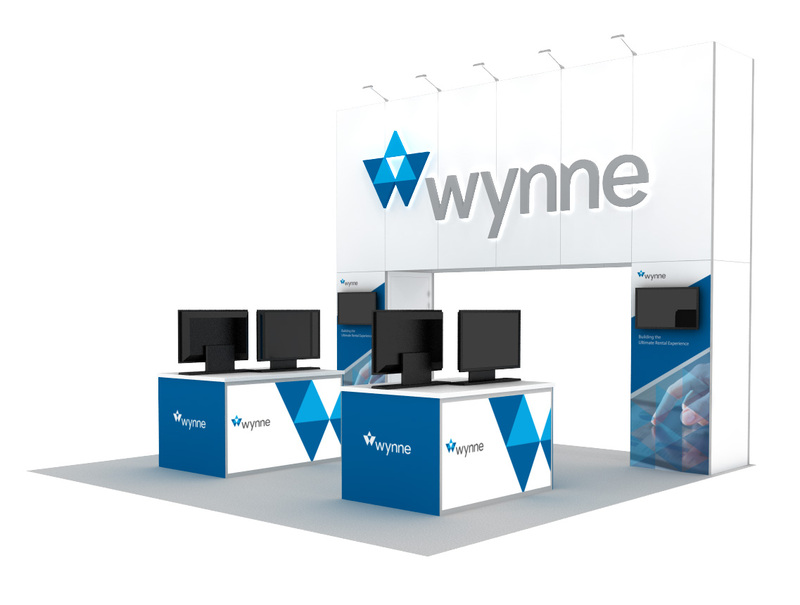 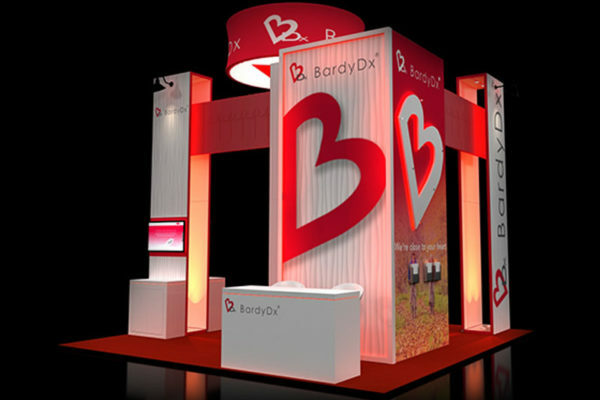 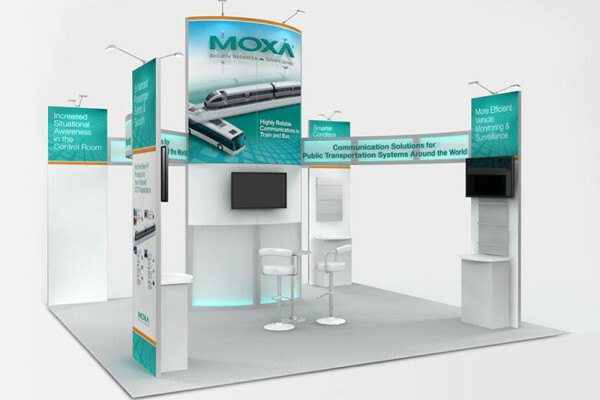 The custom possibilities of 20 x 20 trade show booths extend as far as your imagination. 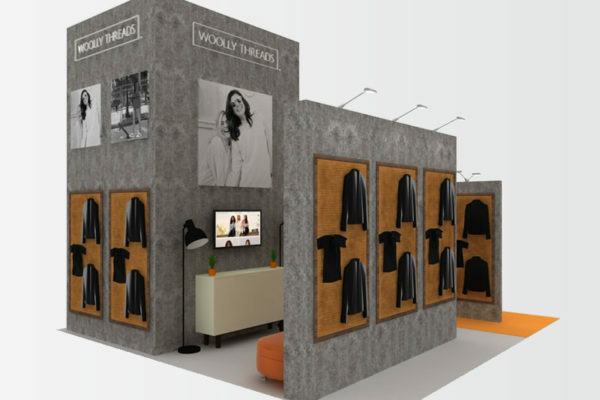 Furniture, accessories and structures can all be custom tailored to you and your vision, from fabrics to textures and lighting. 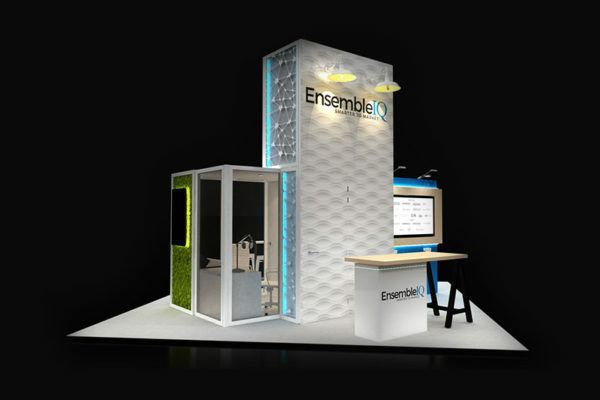 Whether you’re looking for a Zen, modern minimalist meeting space or an interactive, industrial contemporary lounge, our team can create your space into not just an experience, but an interactive work of art.